NurturMe provides healthy organic food for your baby and toddler. They dry the food through a process called freeze/drum drying. Because they use this process they are able to preserve nutrients and quality that is lost with canned baby food. I was sent the above samples along with crisp apples that is not pictured above. My daughter is only 5 months and is just starting out with eating solid foods so we only tried the 4+month foods. Was that she liked it a lot better than the other two foods! Of course all babies have their likes and dislikes when it comes to foods so you should not base your opinion of NurturMe on how my baby liked these flavors that we were provided. This was an easy product to put together, you can refrigerate up to 3 days which is nice because each pouch is a lot of food. Overall I liked this product but I will try new flavors next time. 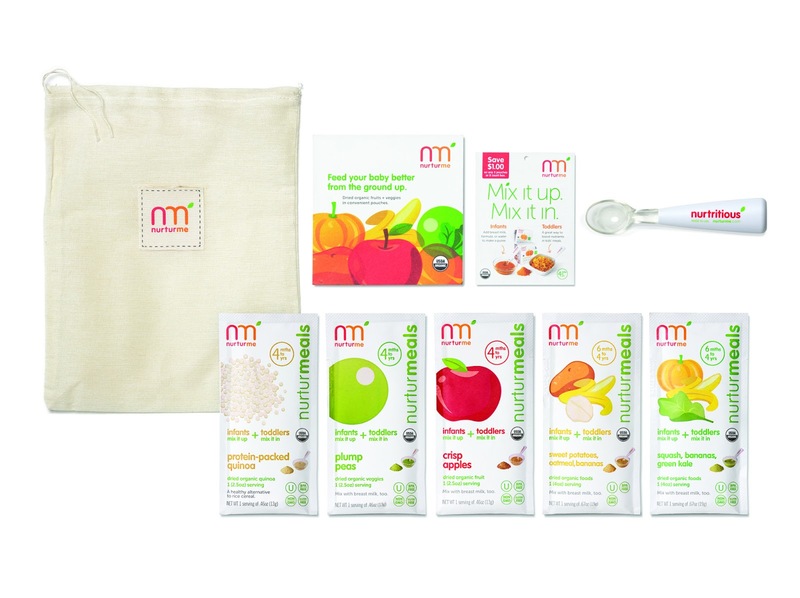 NurturMe has also provided an infant feeding pack for a giveaway to one of my readers. So enter in the rafflecopter below! So one day I was going through Etsy looking for shops that I thought would like to do reviews for and I came across Elizabeth Singler's shop, Mamma Can Do It, and saw the cutest diaper cover I had ever seen! I messaged her and she got back to me and I then learned that it was actually a sewing pattern and not actually the diaper cover I became apprehensive but I was determined to go through with my promise to Elizabeth and do an honest review of her product. I have sewn before but it has probably been 10 years since the last time I have so I was a little nervous about how this project was going to turn out. Although I had forgotten a lot of what to do when sewing I was determined to complete as much of the diaper cover by myself as I could but I did have my mom there to answer some simple questions and to get me started. These were all the materials that were needed and I found all of them, except for the elastic we needed to get a different size, in my mom's house so if you are a sewer then you too should have most of the items laying around waiting to be put together into this cute diaper cover. There I am working away! The instructions for the diaper cover were very easy to follow, there are pictures to guide you and if you have a question Elizabeth is quick to respond! If you are a beginner and don't know how to even thread your machine than you will need to do a bit of research before starting this project because it just goes straight into it and there are time when things that are common knowledge in the sewing community are not mentioned but it is very easy to find youtube videos or blogs and websites that will help you understand everything better. I of course had my mom right there so I was able to get her help with setting everything up on the machine and once I got started it was like riding a bike! For the diaper cover pattern you have the choice of adding ruffles or not adding ruffles so my mom made a diaper cover without ruffles and I made one with. Such a cute model! I really enjoyed working with Elizabeth and her pattern was great! Perfect for beginners and up, as long as you know, or know someone, who knows the basics. She has agreed to give one of my readers a coupon for $30 to her shop! What a great deal since all of her patterns are adorable! This Popcorn is amazing! I am a popcorn person so you may not believe me so much. My husband though has never really been a popcorn person, he would gag every time I would eat some in front of him and now he is the one opening new bags of Skinny Pop because he likes it so much. Skinny Pop is an all natural popcorn. It is made with only 3 ingredients: popcorn, sunflower oil and salt. No butter! It is cholesterol free, preservative free, dairy free, peanut free and gluten free. No that is not just an over flowing bowl of popcorn, it is 1 serving of Skinny Pop. 4 whole cups and only 155 calories! To tell you the truth though is that it is hard for me to only eat one serving because it is so good and not very filling. When I first started eating my Skinny Pop it tasted kind of plain but as I are more the flavor started to come out. It tastes just like movie popcorn but obviously not as bad for you. Another good thing about Skinny Pop is that it is not stale like most other packaged popcorn. Each piece is nice and fluffy. Skinny Pop is my new favorite snack and so that is why I am happy that one of my readers will be able to try some too. One lucky winner will get a whole case (12 bags) of Skinny Pop Popcorn! Just enter using the Rafflecopter below! Good Luck! If you just can't wait to find out who wins you can visit the Skinny Pop site and look up a location near you that sells Skinny Pop and pick up a bag today! This is my husband and I got a Datevitation coupon book for him for an early Father's Day gift! He loved it as you can see! Datevitation was so easy for me to use. When I went on to set up the coupon book, the first thing I saw was a video from the founders of Datevitation, Alex and Olga Karpman. They are such a cute couple. In the video Alex walked me through how to set up the coupon book and from his directions I had no problem maneuvering my way through this process. The set up for this coupon book is also great because the text that you see next to the picture can be modified. The text above says, "Not changing a single diaper for a whole weekend. I must love you so much.". In the original text it had a whole month of not changing a diaper and I thought that was a little too long for me so I changed it to a whole weekend since that is when he changes the most diapers anyway! One other cute idea that are on each of the coupons is the blue part of them on the right. Whenever I think of coupon books I think of how you have to tear each coupon out and then they usually end up in the trash. 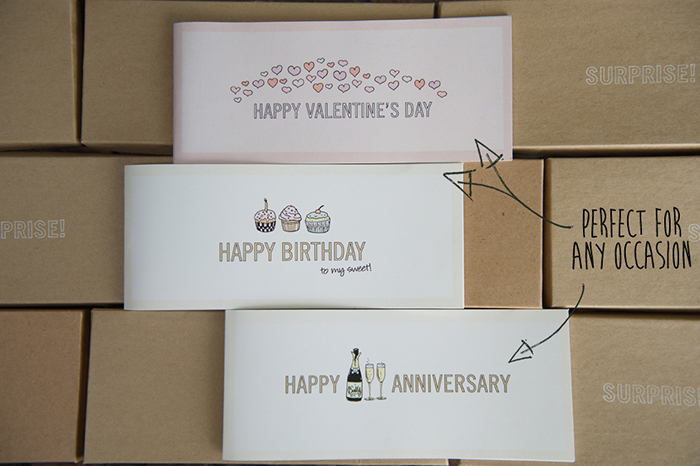 With the Datevitation coupon book you get to write down the date of when the coupon was used and that way you can keep the book as a cute keepsake! A Datevitation coupon book of 5 coupons is only $20 but guess what?!?! They have given me a code just for my readers to get a whole $10 off! That is a great deal! Also if you order before June 7 you will get your coupon book just in time for Father's Day! Can be used throughout the month of June. If you don't have someone you can give a Father's day gift to or you won't be able to order one in time that is ok because these coupon books are great for all occasions! Don't forget to check out their website and Blog! Also enter below to win a code for a free coupon book for you to share with one of your loved ones! Good Luck!